Dr. Melanie Rettler wrote me about a vision she had in 2012 which allowed her to see United States from above. She saw widespread destruction to the east coast from the New York vantage point. In her vision she isn’t told what caused the damage, she was only allowed to see different details. She has has 50 or so prophetic visions with only 3 left to come to pass! The yellow highlighting is mine of details to take note of. Some visions mention that believers will go through the wave and be untouched. She also mentions something to that effect in her vision. Other visions give the warning that many people die and to move off the coastlines. I had been working to help a friend who had been unfairly burdened by the government. I had sought out lawyers for help. I spoke with local lawmakers, I did everything I could but no one wanted to help. Even those who were in a position to help were complacent. This went on for several weeks. Then one day in June 2012 I had reached my breaking point. I just this second as I am typing this had a revelation. The revelation is that when the power of the holy people has broken all things will come to pass. I cried out to God. God, I am so angry. I am very angry. I have done everything that I know that I can do but no one gives. Then swoosh. I was up in the sky over the ocean, off the east coast of the United States. God was on my right hand side, I could see a partial map of the United States. The people were going about their business. It was a nice day. Several people had light clothing on. They wore short sleeve shirts. Some women wore skirts. Some people were in shorts, there was no jackets and no snow on the ground. Then all of a sudden “stuff” started flying in on the people from the direction of the ocean, and people all ran. The “stuff” looked very fairly uniform in size, about the size of a softball. It was great or grayish black in color and I sensed it was hot. It seemed to have a tar like consistency that people ran and were panicked. They were trying to avoid being hit by this tar like substance. It was chaotic. He directed me to look back into the vision and I did. I still saw the people running everywhere. Suddenly, I saw transparent shields appear over some people, the shields moved with the people as they moved. The people didn’t seem to know that they had had them. But they didn’t hear me and they kept running with the other people, even though they didn’t have to. Then I was shown a broader view I was shown that the entire East Coast had sup suffered horrible destruction. And it was all the way from Maine to Florida. 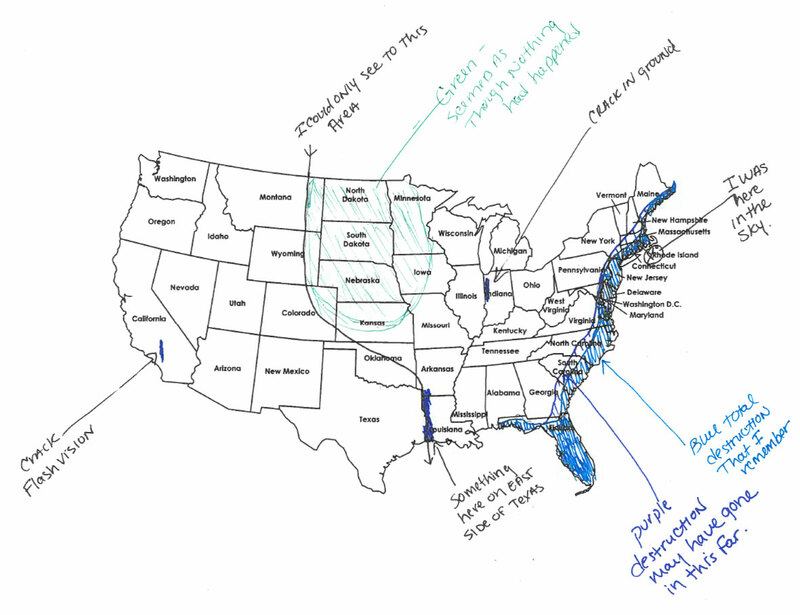 Florida was almost entirely destroyed the destruction went inland for a long ways. In some places, it was an entire state, and other places several states deep. I can see only approximately half of the United States. It wasn’t that I didn’t have the vantage point to see further, but that it was hidden from my view. I wasn’t allowed to see past half way. There was a crack, running north, south part way across and south of the Great Lakes. I don’t know what it was, what it was, and I just tried to see across it to the western states. I tried to see all the way to California, but I wasn’t allowed to. I knew that it was over there. But what was going on over there, I wasn’t allowed to see. I could see just past the Great Lakes and down the middle of the United States to the east side of Texas. I wanted to see what was going on with Texas but I wasn’t allowed to see it either. The northern Middle States looked as, as if nothing had happened. I came out of the vision and just sat there thinking, “wow”. Then after a bit I went to sleep. For a couple of weeks or so nothing. Everything was quiet spiritually on this topic. Then I started hearing a voice that started out soft and low. “I have just about had it with them”. At first, it was almost like a whisper, then every day, each day I heard it and it got a little bit louder. I called my friend and told her what was happening. I told her that I felt this pressure associated with it. I felt it, building. Then on July 19 2012 at approximately 8:30am. I was out of my front gate when I unexpectedly heard God clearly ” I have had it with them”. I thought, oh, and I looked up into the sky. Then I just kind of waited. Like the other shoe to drop. I just knew that there was going to be some big trouble coming. July, 20 2012 am, the pressure that I had feeling the past days were no longer there. Like a fever that had broken, it had lifted. It felt good for that pressure to be gone and back to feeling normal. July, 20th 2012 I went to bed around 8pm. I was awakened from sleep from the sound of gunshots. I sat up in bed, stayed quiet for and waited for more shots, then no more were heard, I decided to investigate. I thought I had better check on my animals to make sure none were injured or frightened. I told myself before going outside to look at the animals and see what direction they were looking. I didn’t know what was going on out there and I didn’t want anyone sneaking up on me. So as I went outside I quickly scan the animals to my great surprise none of them seemed alarmed. They were sleeping and resting. I didn’t understand why weren’t aroused. So I walked the entire perimeter and found nothing a mess. I went back inside and glanced at the clock on the stove and went back to bed in the morning my friend called and asked me if I heard what happened the night before. I told her no, she told me that a shooting had occurred in a movie theater in Colorado. In approximately 2017 I had a flash vision while I was awake. It was like I was dropped into a situation and hovering just a couple feet off the ground I knew I was in California and I was facing east. There were dead bodies all around and injured people. Something catastrophic just occurred. I heard people saying and screaming, get to the hills, get to the hills, and they were running eastward. There was a crack in the ground in front of me and I knew that it was too late for all those people, only the people already at or on the hills had any chance. I knew that the hills that they were talking about where east of were I had been. The whole vision seem to last only a few seconds. I’ve had visions and dreams all my life that have come true. I would approximate 50 or so, and only 3 are still yet to be fulfilled. I’m certain that these will come to pass in my lifetime I’m now in my 50s if that helps. Just a few days ago I heard from God that He is showing me things, so that I could take steps to avoid harm that was coming. He was showing me so that my decisions would be affected. No fear in Christ, just prepare. ” A few days ago I heard Him say “I’m with you.” I think we are going to need all of these reminders as it is going to get tough. 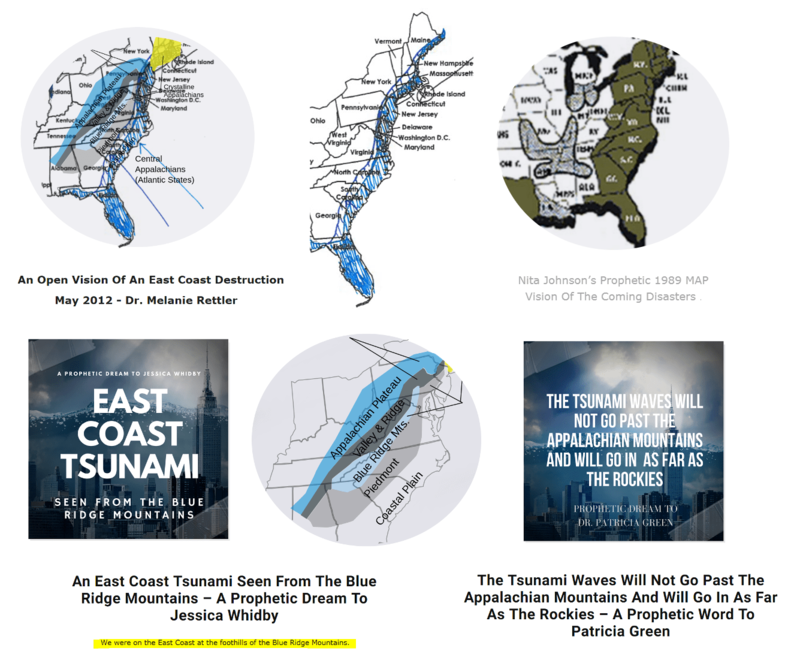 On this site I have over 100 prophetic references to the coming tsunami that hits the east coast. There is also a west coast tsunami prophecy where a tsunami wave goes quite far inland. There are also a number of prophecies that suggest an asteroid breaks up in space and hits the ocean in several locations. This causes the tsunami on both coastlines. 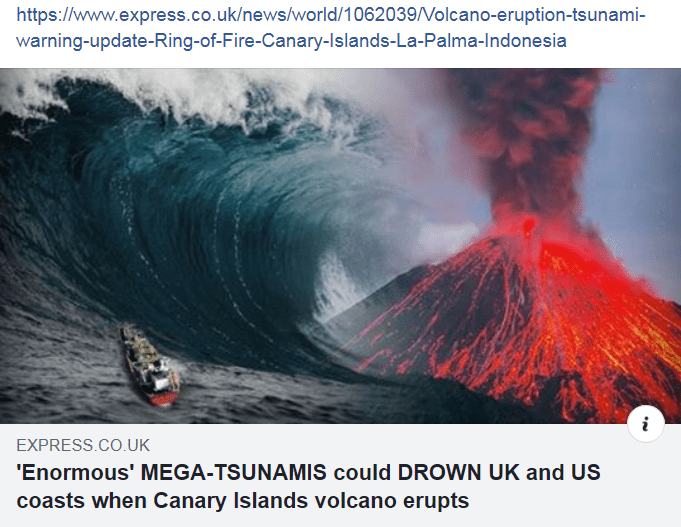 There are also articles that reveal new Russian technology capable of producing giant tsunamis. There are many prophecies that reveal they will invade the United States some day. At the bottom of this post, look for the links to these different confirmation visions and dreams. 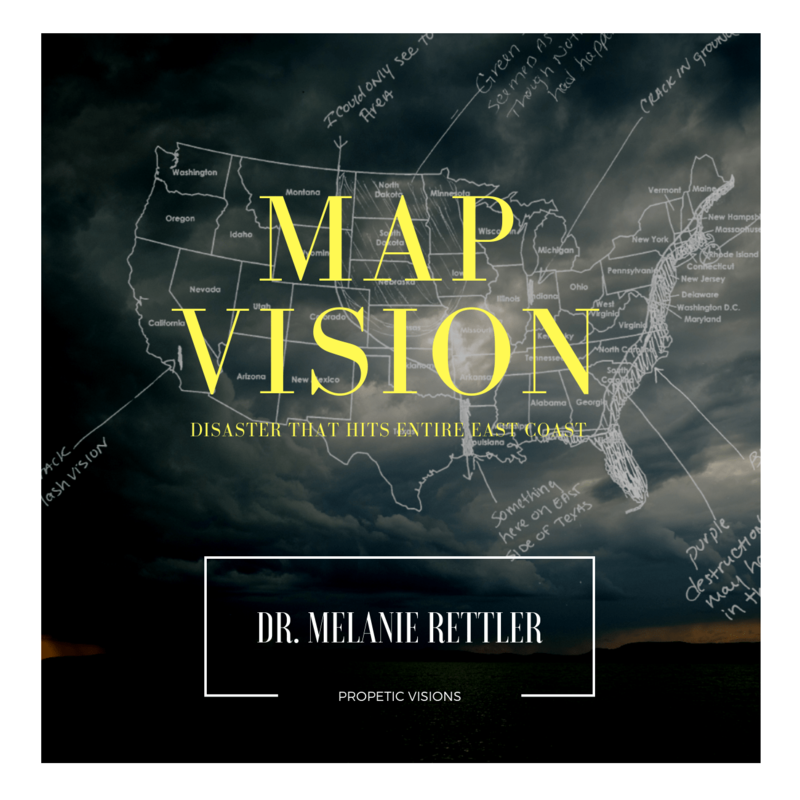 What captured my interest in Dr. Melanie Rettler’s vision was the reference to seeing a map of how far the destruction goes in. After viewing many tsunami dreams and visions, a believer can see patterns between them all, but there are just a handful of prophecies that include details of how far the the water goes inland. 1. The first reference comes from Jessica Whidby who has a prophetic dream where she sees a tsunami on the east coast. In the dream she is at the foothills of the Blue Ridge Mountains and sees the people and the animals in a panic running towards higher ground. According to Wikipedia, the Blue Ridge Mountains are part of the larger Appalachian Mountain range. The mountain range is located in the eastern United States, and extends 550 miles southwest from southern Pennsylvania through Maryland, West Virginia, Virginia, North Carolina, South Carolina, Tennessee and Georgia. Her dream matches up to what Dr Patricia Green has seen. 2. Dr Patricia Green was one of the very few prophetic voices to see Trump get elected accurately. She was also shown that our nation would be given 7 more years to repent. If I were to guess, those years will be filled with judgement (event after event) before a crippling severe blow hits this nation. Another prophetic voice I think is very accurate is Maurice Sklar who saw the courts of heaven give our nation an extended a period of grace which lines up with the grace Green was told. On 2013 Dr Patricia Green has a dream where she sees a large wave getting ready to crest over the top a mountain. She understands in the dream that the Atlantic Ocean had washed in as far as a mountain in North Carolina. Then 3 days later in a closed eyed vision, Jesus is walking beside her where she is lifted up in the air and she sees a wave hundreds of feet tall. That seems to be the wave that most people describe in their visions and dreams. If you can picture this wave in your mind, it would go clear over the skyscrapers in New York city. Green sees that the water is washed up to a mountain range in North Carolina. That seems to match up with Jessica Whidby. My question is…. are these two different events that Green is seeing? ( In other words, …. is there a difference between the first wave and the second wave she sees? ) One wave to come in, and then a very large wave to come in later? That seems to be unclear to me. Notice the mention of D.C and Florida being underwater. This detail has been confirmed through many visions and dreams. 3. Nita Johnson is another woman of God who also sees widespread destruction and is shown a map of the United States. You can read about the vision here. In her vision she mentions specific areas on the west coast and then it disappears off the map. She doesn’t understand why it disappears. Her attention is then turned to Michigan. This area of destruction has been seen by Dr. Melanie Rettler. The late Chuck Youngbrandt also has a very detailed 1973 vision of the destruction of this area. See that post here. The next set of events are seen in the area of Texas happen to be another detail that Melanie Rettler is shown as well. It is quite interesting how all these people are shown the same locations. Again, below I will list all the prophetic articles related to Texas. A Daughter of The Highest King uploaded a video of her 9 year old grandson who tells his account of an image that popped into his head. He describes seeing the United States from above in space. He understood he was looking at the earth because of the curve. Atlantic Meteor Impact Dream -William Frederick, M. Div. Why Has The White House Suddenly Released A Strategy For .. He then adds that as the asteroid enters into the atmosphere, he has the understanding that the asteroid is going to break apart. 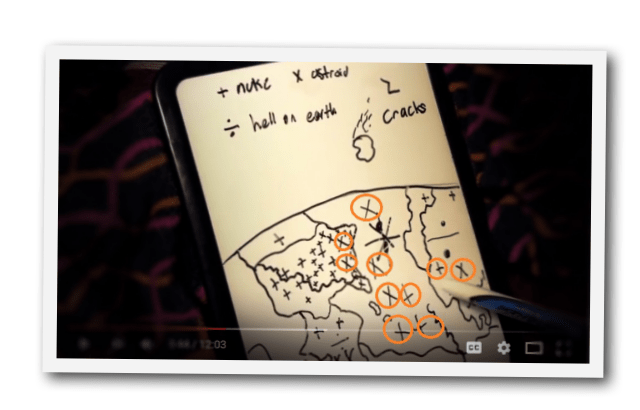 The “x” drawings mark the places where the shattered asteroid hits. I wanted to highlight some of the larger “x” marks with an orange highlighter. As you can see, it seems like there is a path seen with the larger “x’s on the picture. He then describes nukes flying over the ocean hitting America. His grandmother asks him about the squiggly lines on the map. He describes it as the land breaking apart. What he saw was the fault lines breaking apart where he sees people falling in. 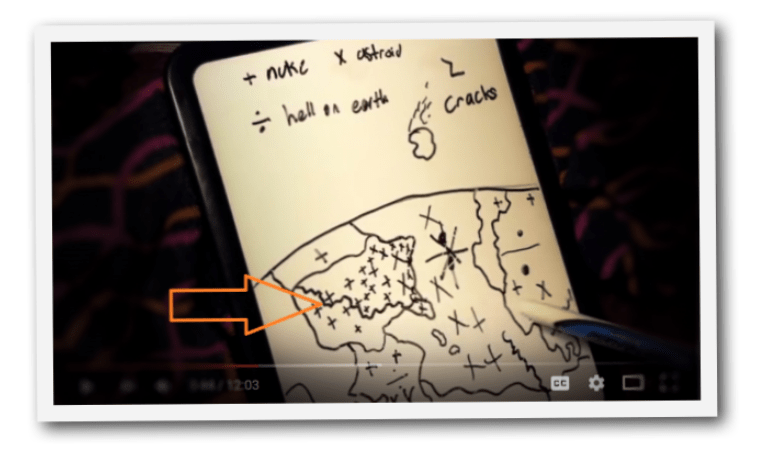 The line he drew on America happens to be the exact same line which we see in the eclipse that happens August 21st 2017, AND the exact fault line that scientists discovered that runs 1,700 miles across the United States and intersects with the New Madrid. Could Yellowstone also be involved in this event? Later she was brought back down to Texas where she was shown another event. She makes it very clear that these are two different events. 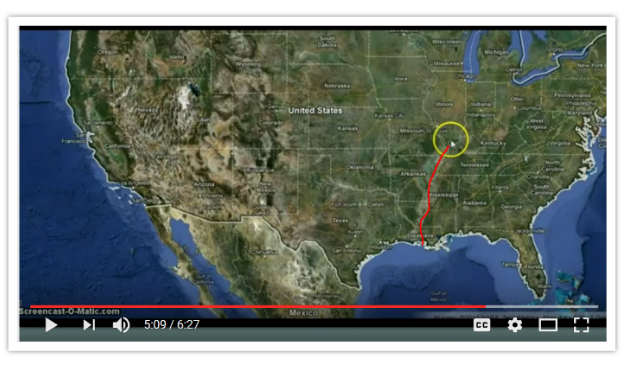 She describes the fire going all along the border of the United States and the curser goes up to the edge of Alabama. She then sees two explosions at the bottom part of Louisiana. She said BEFORE that, she heard THREE big booms. Then she sees no electricity, no fire or smoke…..
Then she was brought back down to Texas where she was shown another event. She makes it very clear that these are two different events. Then she sees electricity going up the New Madrid fault area. She describes it as electricity, with a few small sparks. Her vision ends there. She mentions Louisiana which is also mentioned in Brother Bob’s 2007 economic crash vision. “San Diego, you will burn! In one day you will burn. In one hour it will start and in one day you will burn” ,….. The late Bob Jones was given a warning sign before the BIG One Hits California. Bob mistakenly says “Caliente instead of Calexico. He is referring to Calexico and Mexicali which are the two border towns. This prophecy was fulfilled, or this could be speaking of another event coming soon. 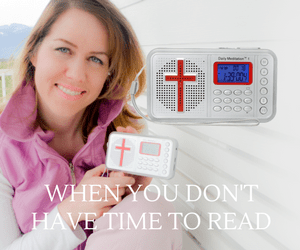 A Spiritual Trumpet Warning Heard In The Heavenlies- Could A Warning Be Issued?